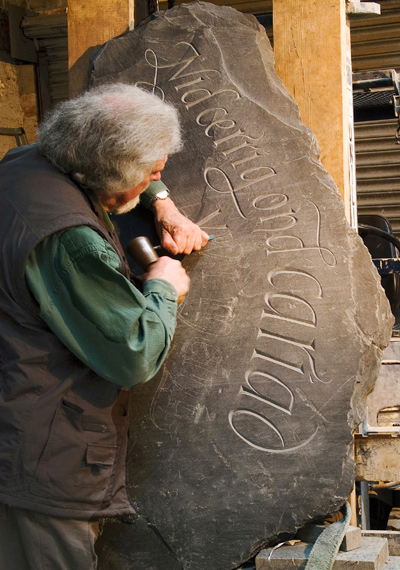 Commemorative & Memorial Plaques, Slate and Stone Headstones, Calligraphy. The Lettering and Calligraphy Studio, Wales, UK. BY LETTERING ARTIST, CRAFTSMAN, DESIGNER. Ieuan Rees offers a complete range of services from consultation and design origination through to the completion of the work. ©2016, Ieuan Rees. All rights reserved.